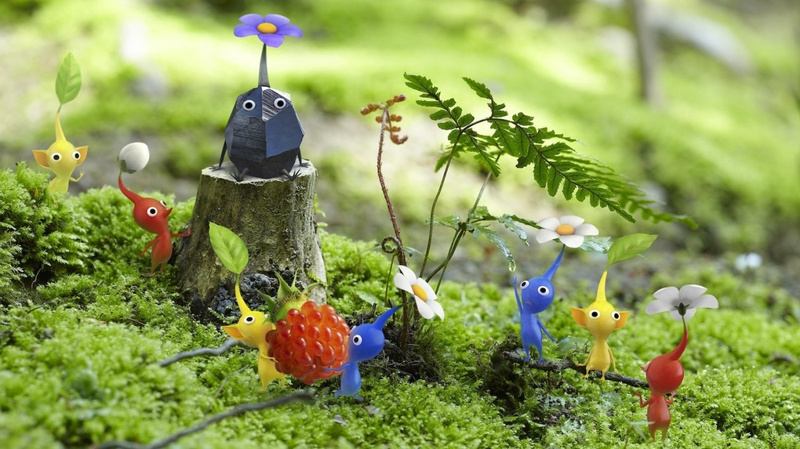 Fret Not, Pikmin 4 is Still "Progressing"
We're certainly intrigued to see how the Arzest-developed Hey! Pikmin turns out on 3DS, with the spin-off adopting a 2D approach and offering something very different from the home console titles. Of course, it's not Pikmin 4, a title many want for the Nintendo Switch. Eurogamer, which first quoted Shigeru Miyamoto regarding Pikmin 4 back in 2015, followed up with the legendary Creative Fellow on the game. Clearly aware of the unnecessary pressure he created by talking about it two years ago, Miyamoto-san only gave a mild reassurance this time around. In mid-2016 Miyamoto-san spoke of challenges prioritising work on the next full entry on the series, but hopefully - like Pikmin 3 on Wii U - it'll be worth the wait. Are you eager to see Pikmin 4 on Nintendo Switch? That should shut a few people up. I was worried hey pikmin was 4 after no pikmin in the spotlight but this is good news. Now why haven't they shown this game off yet? They claimed it was almost done two years ago. Miyamoto said the game was "very close to completion" for Wii U nearly 2 years ago. What on Earth are they doing? Are they growing each individual Pikmin? It'll come. Probably 2019 with a couple other big games. At some point this and Retro's game will have to show up. Not surprising really. Miyamoto-dono was going to let his baby turn into a spin off franchise. @tamantayoshi if I had to guess, it was probably "almost done" for the Wii U, and now they're porting it to the Switch and upgrading specs and performance. Maybe they didn't show it off yet because its graphics aren't what they want them to be yet or there's a massive issue with the game. And this is the 10,000th confirmation I needed. Seriously, the past 9,999 somehow passed me by without saying hello to me. Great news! @MiraiMoon Thats what I'm assuming too. "Are you eager to see Pikmin 4 on Nintendo Switch?" Yes. Yes I am. Yes I am eager to see Pikmin 4 I'm so looking forward to it. As I noted in another post, if we get this and Metroid by the end of 2018 Switch will boast Zelda, Mario, Pokémon, Metroid, Pikmin, Yoshi, Kirby, Mario Kart, Splatoon, Fire Emblem and maybe even Smash, all in the first 18 months or so (assuming they don't get delayed, obviously). That would be some really insane first party offering, and practically impossible to match, in the same spell of time, on any other console, I believe. Seeing how gorgeous the visuals were in the Yoshi gameplay got me super excited for Pikmin. I want to see visuals as gorgeous as the promotion art. Thank goodness. I was of the minority that believed Hey! Pikmin likely was the Pikmin project Miyamoto talked about a couple years ago. Very happy to have been wrong! @the_beaver Yeah, and Nintendo's Switch library is already pretty packed for this year. Pokemon and Animal Crossing would be perfect for 2018, along with Kirby and Yoshi and the games you named. 2018 already looks like it could be packed, too! I think Pikmin 3 is still one of the prettiest games ever made (the lighting and the wet surface shaders are amazing), so I can't wait to see what 4 will look like. I will miss the stylus controls. I do wish the Switch still worked like the Wii U in the two screen regard. At least this confirms that Pikmin "4" is not Hey! Pikmin. Poor Pikmin 4. I'm sure it was ready to go near the beginning of the Wii U and has been stuck ever since. I bet they have been redoing everything to rebuild it for Switch. I am eager to see Pikmin 4 on Switch, of course I am. But not too eager, mind. No, what with Metroid Prime 4, Kirby, Yoshi and a proper Pokemon RPG, I'm good for AAA news from this particular E3. No, what I want more of before Team Treehouse pack up for another year is Nindie announcements! Surely there's more Switchy Nindie goodness to come out of LA this week than 'just' Rocket League? Right?! @SLIGEACH_EIRE Probably on a certain calendar slot to ensure we get a seamless stream of minimal gap in regards to game releases probably finished already id imagine. @rjejr Well, now we know for sure they're separate... maybe. But i dont really care because Pikmin 4 is still coming. I love that he is a bit chagrined about internal reaction from his last response but also sort of laughing it off. @SLIGEACH_EIRE It could be pretty much done but they are putting it on hold for next year to keep a steady flow of games. I'm just glad Hey! Pikmin isn't "Pikmin 4." It will be awesome playing a full Pikmin on my TV, then on the go. Thank you! This is all I needed. I just needed confirmation that Hey Pikmin is NOT Pikmin 4. Thank you!!! @SLIGEACH_EIRE I'd imagine they're either looking to increase the scope of it, or they're modifying/adding to it Switch specific features. Pikmin World and Smash will be officially announced tomorrow. @aaronsullivan Well heres how I see it. Miyamoto said Pikmin 4 was almost done 2 years ago. Then they announce and release Hey Pikmin. Now we aren't talking about a game that was almost done 2 years ago. So personally, whatever game he was talking about doesn't matter, b/c if we have to wait another 2 years for it, then Hey Pikmin MIGHT AS WELL HAVE BEEN Pikmin 4, b/c by the time the next one does come out I'm calling it Pikmin 5 anyway. It's by far my most wanted game for Switch. As soon as I know for sure it's coming out (release date and footage), I'm getting a Switch. I love Pikmin. 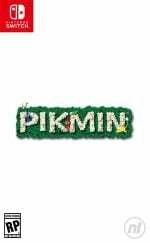 Pikmin 4 on Switch would be an easy day one for me. It's right up their on my Switch wish-list. @rjejr Exactly. Doesn't matter to us except for curiosity now. VERY curious what Nintendo will do with Pikmin because 3 felt a bit rushed with extra Pikmin types not making it into the main storyline part of the game and too much content in the extra challenges... really that's the best part of the game for me and it's an "extra". Hopefully Pikmin 4 has a better balance... and I'm betting it allows for cooperative play during the main campaign, too. I got a feeling it will be similar to BotW where its open world and you can solve puzzles in many different ways. @aaronsullivan "Hopefully Pikmin 4 has a better balance... and I'm betting it allows for cooperative play during the main campaign, too." Hopefully the game doesn't have that stupid "no option" ending. I swear I have no idea how they made a game where you are sent to a planet to find fruit, and then after finding Olimar you take off and wind up leaving 2/3 of the fruit behind. THAT MAKES NO SENSE!! In that final talking cut scene all they have to do is ask - "Are you ready to blast off or would you like to gather some more fruit first?" Then have two options 'No more fruit, let's take off." or "Yes, lets' stay here and collect more fruit." Cant' be that hard. I never went back and collected the other fruit b/c of that. Yes I saw we're you could go back a day or something but I was so mad I cut off my nose to spite my face and never played it again. Then I sent my Wii U in for repairs - HDMI port kept cutting out every 5 seconds - and then my Wii U came back w/o my save point, so I never started over either. Great game though, Pikmin 5 is day 1. Maybe on "New Switch" in 2 more years. "For the 1000th time, Hey! Pikmin is not Pikmin 4"
For the 1001th time, this is not a confirmation that it isn't!